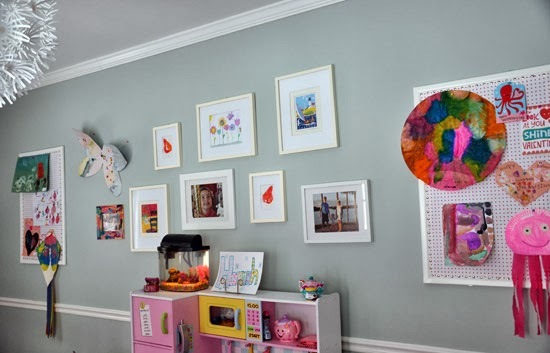 I was looking for a way to display all of my daughter's artwork in her playroom. 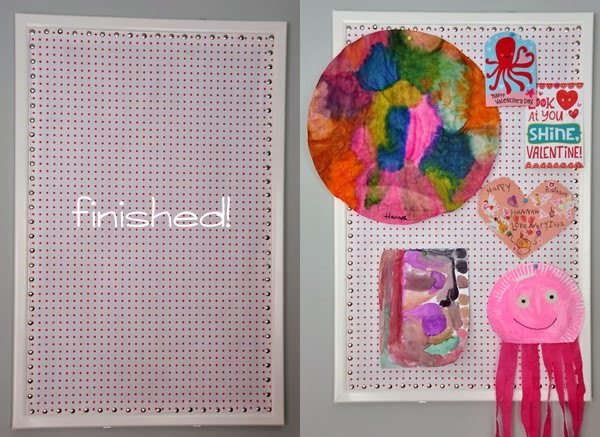 Here's a quick tutorial of how to create a DIY Custom Pin Board to match any decor. Step 1: I started with a plain framed 24-inch x 36-inch cork board I purchased on Amazon. 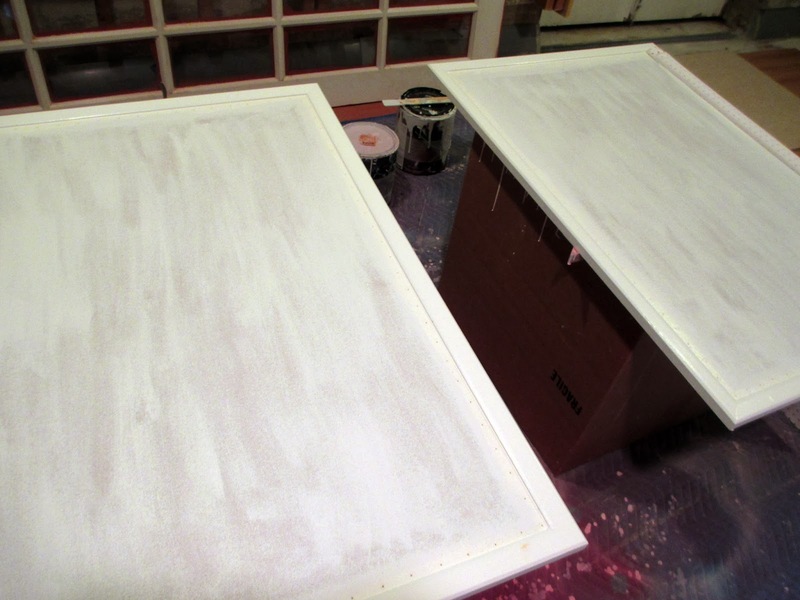 Step 2: Next, I painted the frame AND corkboard with white, high-gloss trim paint. I was using a light-background fabric to cover my boards; if you didn't paint all of the board, you could see the brown of the corkboard bleed through the fabric. Step 3: I used some leftover fabric (from a sheet set) that I had used to make full-length curtain panels in the playroom. 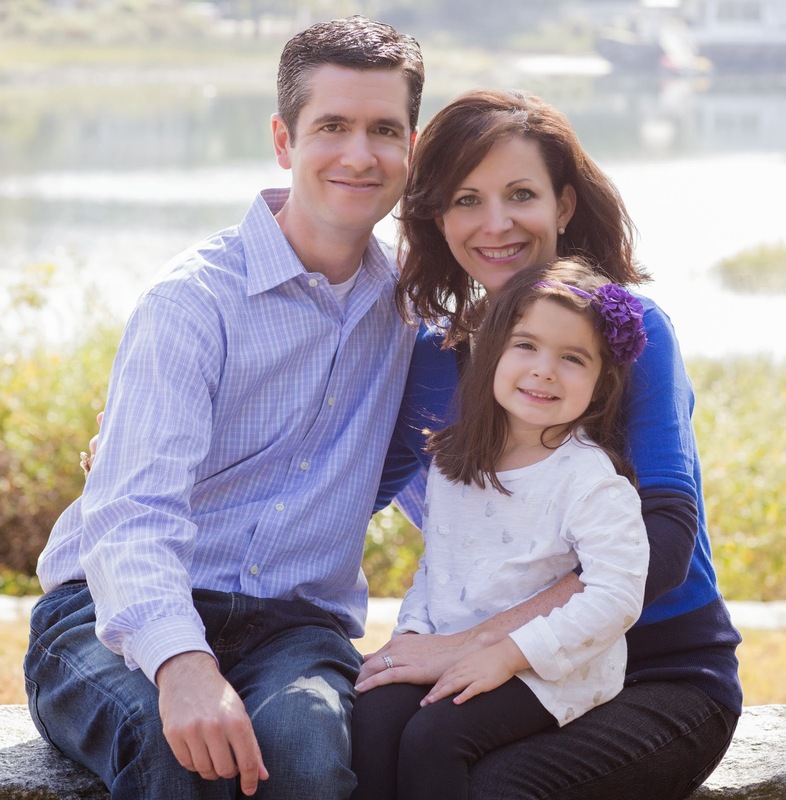 You'll want to measure carefully to the inside of the frame. 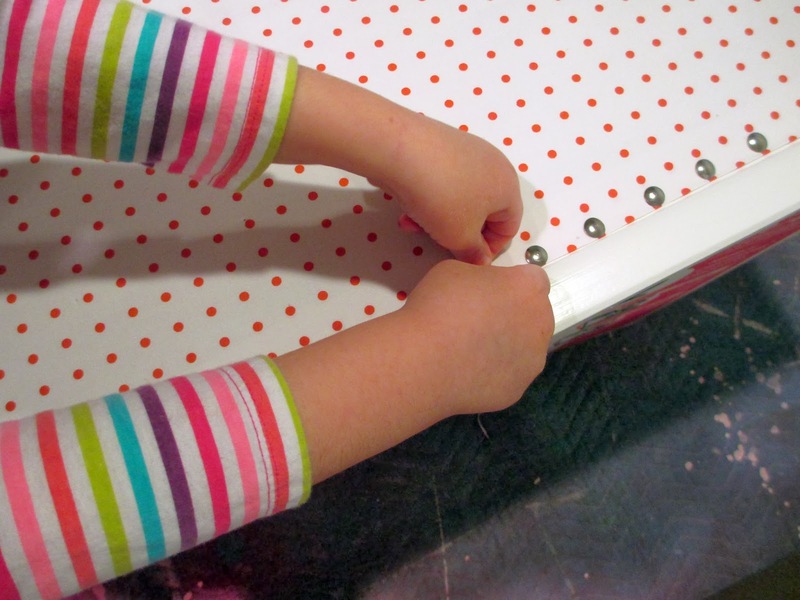 Cut your fabric 1-inch longer than the height and width of the inside of your corkboard. 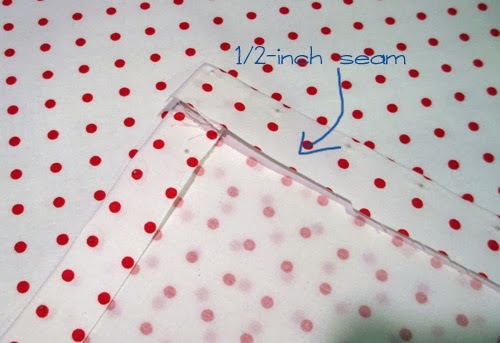 Using an iron, make 1/2-inch seams, so the outside edges are crisp. The polka-dot pattern really helped to ensure my lines were straight! Step 4: Using plain ol' tacks (I used brushed nickel ones I picked up from Staples), make a border with tacks about 1-inch apart. This was a great project to do with my five-year-old...she had fun pushing in the tacks along the border. The corkboards came with hardware to hang on the wall. All done! Now, it's so easy to swap out art, cards, etc. -- they add a great touch to the playroom room.